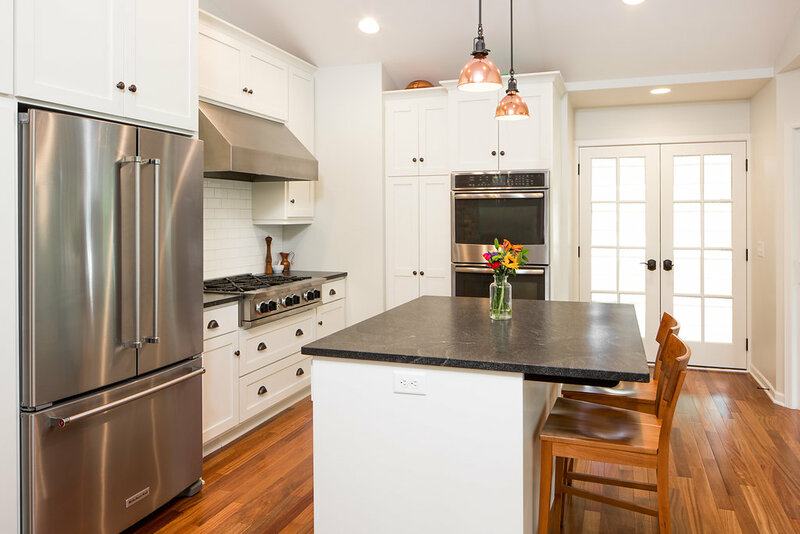 Arbor Haus is proud to announce that the firm has earned a Remodeler of Merit Award (ROMA) from the Builders Association of the Twin Cities (BATC) for its Lower Level Remodel completed in 2015 in Chanhassen. 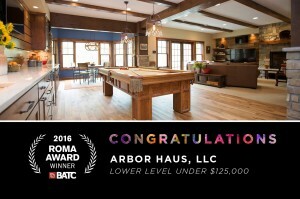 Arbor Haus earned one of just 16 ROMA Awards presented at BATCs Building Industry Gala (BIG) Night held on October 20, 2016, at the Mystic Lake Showroom in Prior Lake. 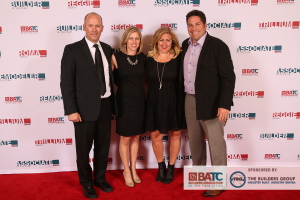 Since 1982, BATC has presented the ROMASM Award to remodelers to recognize creativity, design, and the remodeler’s ability to meet the client’s requirements. 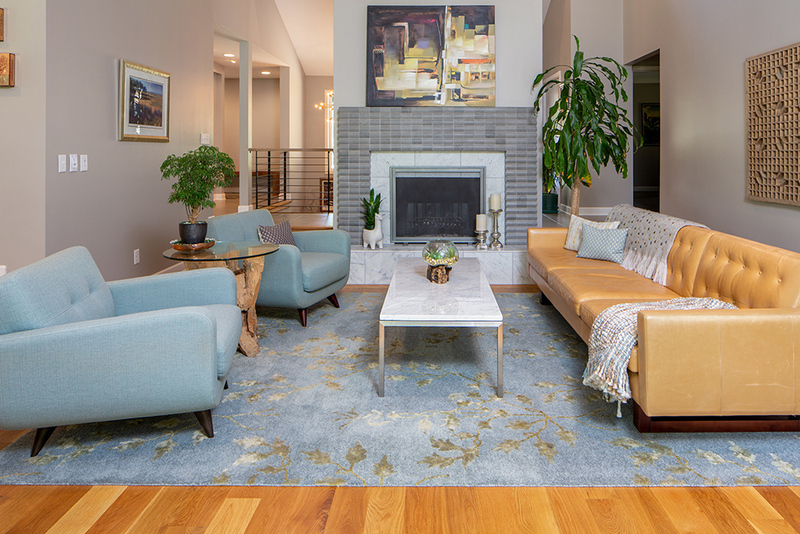 Winners were selected by a team of remodeling professionals from the Sioux Falls, South Dakota, Builders Association after evaluating photographs, floor plans and descriptions of the remodeling project. View pictures from the gala here. 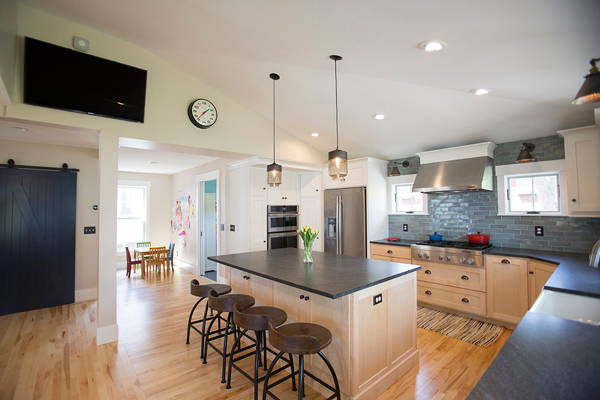 The client approached Arbor Haus with the need to create a family room that would accommodate and invite their three teenagers, toddler, and themselves to spend quality time with each other and friends. Arbor Haus established a design that met all of their desires and more in this warm, lodge-like, lower level space. A multiple screened theater wall was incorporated to permit for any combination of video gaming, watching sporting events and enjoying movies, all while in the coziness of a custom laid stone fireplace with a distressed wood mantle, and floating shelving to hold books and family treasures. Adjacent to the seating, the billiards and game table area adorned with hand-scraped hickory hardwood flooring and framed in stone and cedar pillars with stamped iron straps create a rustic mountain feel. Wood beams and slat wall decor tie the entire entertainment expanse together. The expansive marble wet bar, with an under cabinet microwave and beverage fridge ensures all who frequent this home are well taken care of, while the additional television allows for yet another location to never miss a moment of screen action. 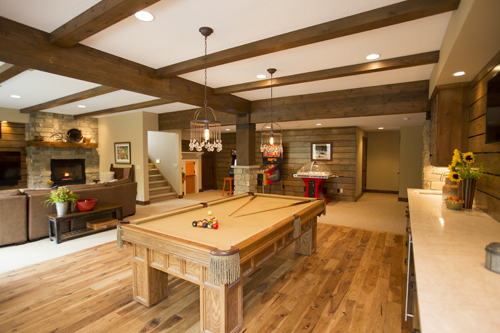 Hand selected reclaimed barn wood establishes the perfect backdrop for errant dartboard throws, while the accommodating lighting allows for arcade games of yore to be enjoyed by young and old alike.